WeMo-style smart outlet switches have long been the atomic unit of the smart home. A gateway drug that people buy to control their Christmas Tree lights before going whole hog and dropping an entire paycheck on Hue bulbs. But for as long as they’ve existed, nothing about them has really changed, so it’s refreshing to see iClever doing something a little different. The company’s indoor/outdoor smart plug has not one, but two outlets that you can control independently, plus weatherproofing so you can use it outdoors. 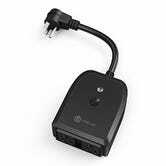 Its app isn’t the most well designed piece of software I’ve ever used, but once you connect the outlet to Alexa or Google Home, you can control both outlets independently with your voice. Just note that you have to name both outlets independently for Alexa to recognize them. 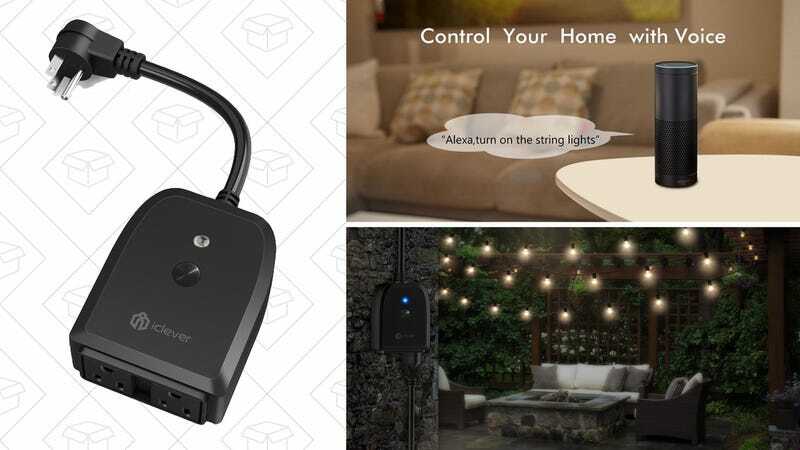 Once you’re set up, it’s basically two smart plugs for the price of one, and the perfect accessory for all of your outdoor string lights. Now if only they’d create a version with energy monitoring, alas.